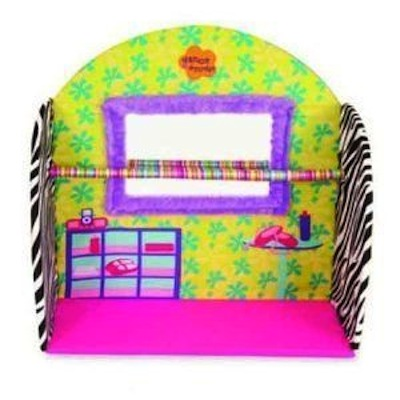 The Groovy Girls Dancerific Studio makes it easy for every Groovy Girls to practice their groovylicious dancin skills. Studio Includes mirror with soft fabric border and satin covered balancing bar. Now all your Groovy Girls dolls can practice for their dance recitals, so their ready for every performance.